We have a fair number of users who use SQL Image Viewer to extract files from The Raiser’s Edge databases. 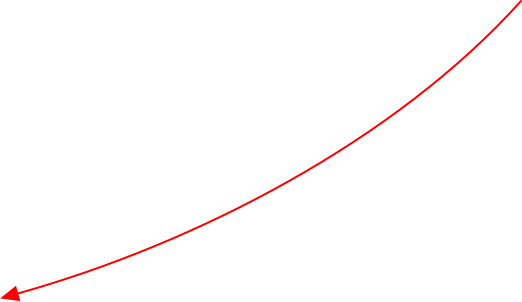 This is because the Raiser’s Edge stores binary data and files in OLE Object fields. Simply extracting the binary data from the database produces an OLE Object container file, which is not usable. 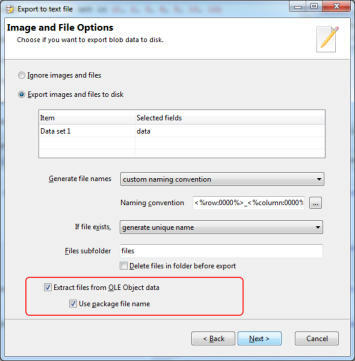 In these situations, SQL Image Viewer can help you identify and extract the original data from the OLE Object containers easily. In The Raiser’s Edge, you may embed data directly into a field via the use of OLE servers. These objects may also be created from an existing file. 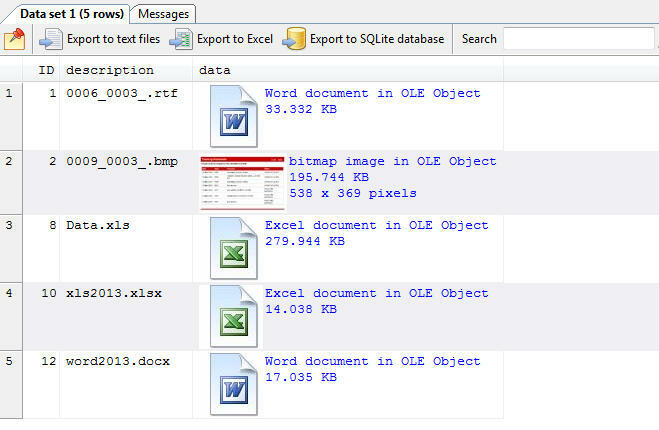 SQL Image Viewer can identify the type of data stored in these fields by inspecting the contents. In the example below, we ran a query in SQL Image Viewer to select only the OLE Object field. SQL Image Viewer then inspects the data and displays the type of document that’s stored in the fields. You can then export the items, and SQL Image Viewer will extract just the original data from the OLE containers. You can of course change the file naming convention to fit your needs. If instead we had selected the ID column in addition to the data column, we can then name our files using the ID value. The Raiser’s Edge may also store binary data in packages when there are no registered OLE Server for that specific data type. For OLE Object packages, SQL Image Viewer will display the original file name in the results window. 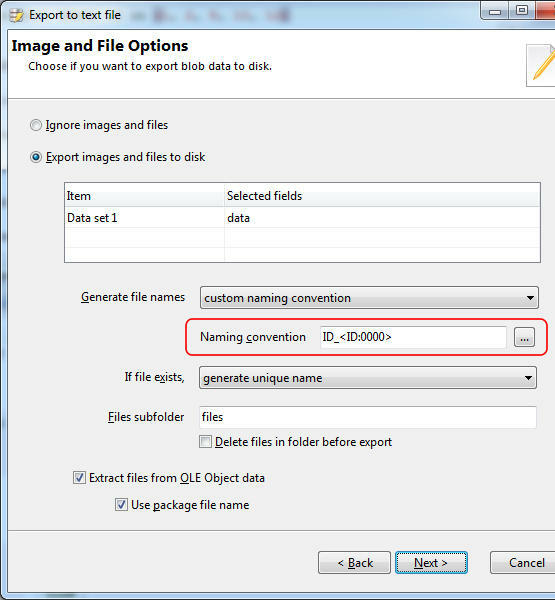 When you now export the items, SQL Image Viewer will name the exported files using the original file names if you select the Use package file name option. That’s all there is to it to start extracting OLE Object data from your Raiser’s Edge database. You don’t need to hire expensive consultants to do the same job (who’s probably using our software anyway), and save hundreds in consulting fees. In cases where SQL Image Viewer cannot identify or extract the OLE Object data, it wll be because the registered OLE Server for that particular file type is not supported. In such cases, we can work with you to add support for that OLE Server type. SQL Image Viewer offers other benefits to a Raiser’s Edge database administrator too: • export millions of items easily with minimum memory requirements • schedule tasks to automate the export process • export only new items for automated export processes Learn more about SQL Image Viewer here, or download the free trial now.